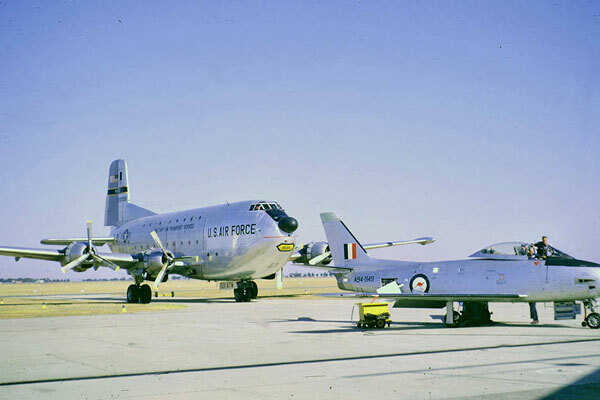 The mystery photo was taken at DART Building, 8 Wing Trenton, for OP Hestia. On the left is Cpl Longworth, middle is Cpl Mikie Hill and on the right is WO Andrew Hine. Just a Note - Mikie Hill is good friends with my niece Jen Rogers and my nephew Chris Weiser... It's a small world out there!! 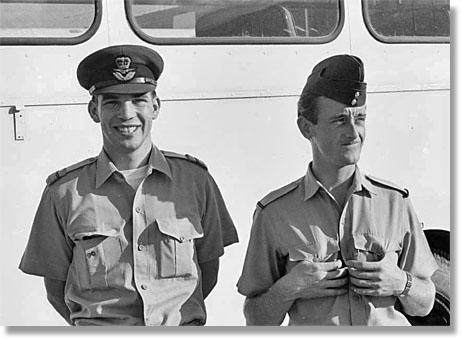 With regards to the RCAF mystery picture #033012, the person in the middle is Cpl Mike Hill and the person on the right is WO Drew Hine. I'm not sure who the person on the left is. Airbus Military managing director Domingo Urena thanked his company's customers for "maintaining their faith, and funding, even through difficult times," referring to a more than three-year delay in the start of production deliveries. We held our monthly meeting at Cosford and as always it was a very good turnout with over sixty in attendance. Our guest speaker was Ellie Taggart who told us the thrilling story of her father, Sven Somme, in WWII. He was a scientist in the Norwegian Fishery Dept., and also a member of the Norwegian Resistance. She had an abundance of documents and letters and some posters printed in both German and Norwegian that had been displayed in the German's efforts to capture him. Her uncle Jacob, who was also in the Resistance, was arrested and later executed; she said that her father's German guard was shot in his place! 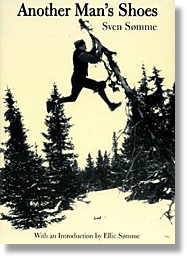 The whole story of her father's escape and her own journey retracing his route is told in her book, "Another Man's Shoes" and I've attached a picture of the book held by Ellie which shows on the cover tree hopping done by her father so that no telltale footprints were left in the snow. 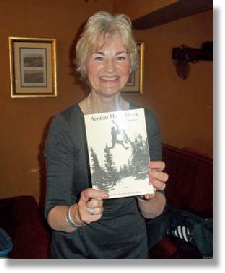 We all thoroughly enjoyed her terrific talk and gave her a rousing applause for the way she presented her story. It's possible to fit a 61-tonne Abrams tank into one of the RAAF's new C-17A transport aircraft, but only just. Defence has proved it can be done. For the first time, it's loaded an Abrams aboard a C-17A at Darwin then flown it across to Queensland where it will participate in Exercise Hamel at the Shoalwater Bay Training Area. RAAF Airlift Group Commander Air Commodore Gary Martin said the Abrams was one of the heaviest single loads able to be carried aboard a C-17. "At 61 tonnes, the Abrams comes close to the total payload capacity of 70 tonnes for the C-17A," he said in a statement on Tuesday. 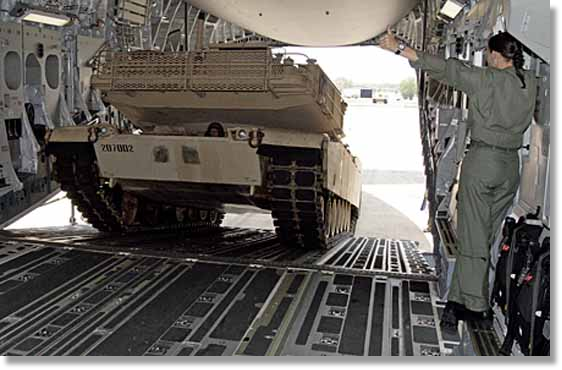 "Loading an Abrams on board a C-17A is a careful task requiring a steady hand and close cooperation between the driver and loadmaster to ensure no damage to vehicle or aircraft." The tank needs to be carefully positioned in the cargo hold to ensure the aircraft is properly balanced for flight. Air Commodore Martin said this flight provided vital experience for army and air force personnel and emphasised a key defence strategic capability. 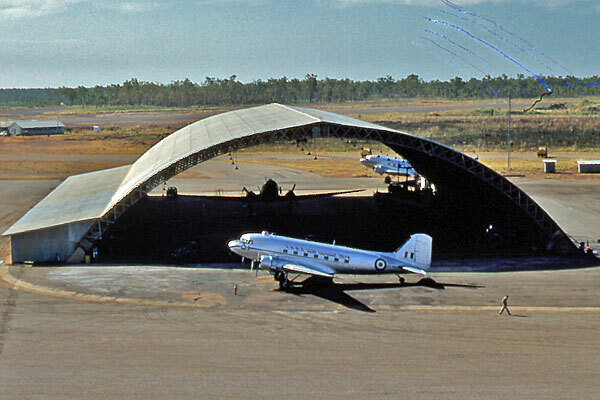 “Australia is possessed with a great geographic expanse, requiring a responsive strategic airlift capability to quickly deliver defence force personnel and cargo," he said. 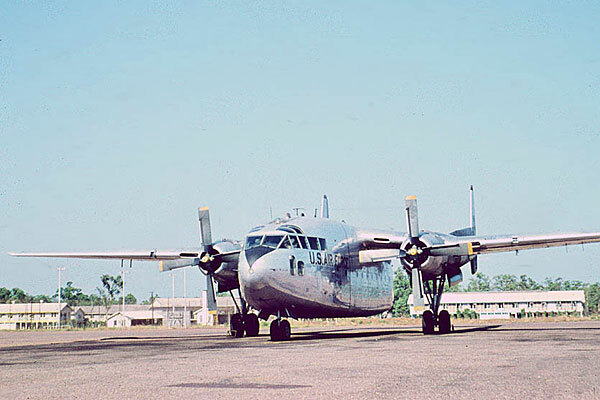 Brigadier Gus McLachlan, commander of the Darwin-based 1st Brigade, said this airlift demonstrated the high level of interoperability now available between branches of the defence force. "The airlift of the M1A1 Abrams by Air Force C-17A is an important milestone," he said in a statement. “It demonstrates the great capability now afforded to the Australian Defence Force and shows the Australian public that we have the ability to deliver our forces if needed, with relative ease to any place we need them to be." All these and many other letters and documents were kept by her father, hiding them prior to his capture in 1944. She described how he was told he was to be sent to Gestapo HQ to be questioned and then shot. She showed us how information and messages were sent to the Allies, like envelopes with the stamps having a microchip on the reverse, still on them. Her father managed to escape and the main part of her story is of his journey across Norway to Sweden. 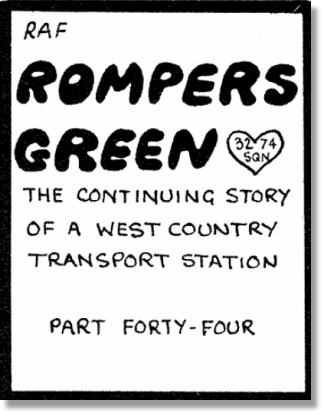 Sixty years later, with her sister and son, she retraced that journey. Along the way they met some of the people who had helped her father. I found your article on Operation Ablaut very interesting. I was one of the children evacuated from Cyprus and would have been 3 years old at the time. 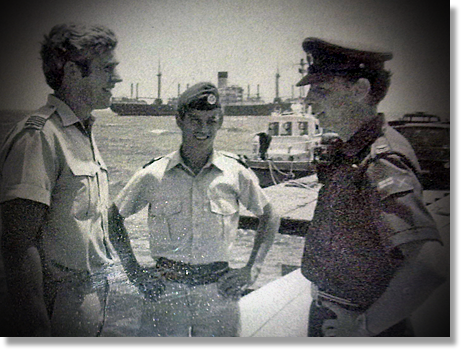 My father served in the UKMAMS - Ronald Corrie. I have saved this page to show him when I next see him. I am sure he will be interested. Thanks for your comments in the OBA Guest Book. At the time of the Turkish invasion I was working in MoD Whitehall and can vividly recall the events of that era. They were very heady days indeed! Please extend my regards to your father, although I don't recall ever having met him; the name doesn't ring a bell. If he's online, then he would be more than welcome to become a member of the association. I will pass this on to my dad when I next see him. I know he will be very interested in the web site and becoming a member. Just the other week he was showing my husband the area we lived in on Google maps and telling the stories. On his retirement we had made up some coasters with various pictures of him over the years. I have attached one of them - one was a newspaper article that was written about him, unfortunately the quality of the picture is not very good, so have reattached another one of just the picture alone. My dad is the one in the middle with his hands on his hips! Anyway, thank you for your response - it has been nice to hear from you. 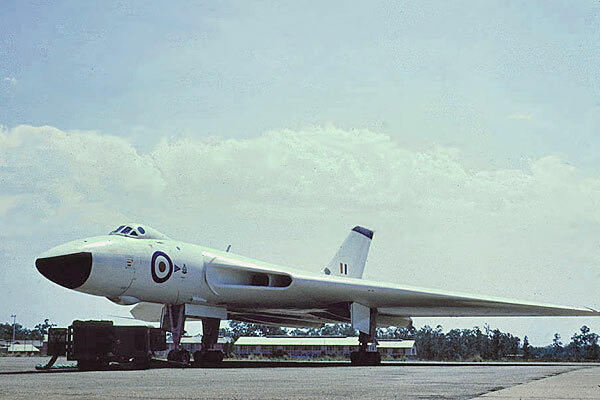 The unveiling in front of more than 600 service veterans and their families, 30 years on from the task force landings in the Falklands, ended with a flypast led by the UK's last airworthy Vulcan bomber. It was flown twice over the memorial by the pilot who led the first raid on the runway at Port Stanley - a mission known as Black Buck 1. A Chinook was one of the three military helicopters that took part in the flypast. Argentina invaded the islands in April 1982 and about 650 of its troops died in two months of fighting. Sara Jones, the widow of Colonel H Jones, commanding officer of 2 Para who died during the Battle of Goose Green and was posthumously awarded the Victoria Cross, read the lesson. Mrs Jones, who chairs the Falkland Families Association, said: "I think it's just very important for our families to have somewhere that they can go which is special for them. It's special to come to this wonderful place. It is a beautiful setting and they can be quiet and contemplate and remember." A service led by the Reverend David Cooper has been held to dedicate a memorial to the 255 British servicemen who died in the Falklands War. 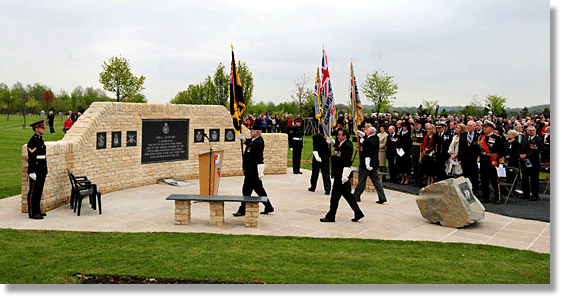 The tribute, at the National Memorial Arboretum in Staffordshire, is designed to reflect the islands' landscape. From: Xavier Sherriff, RAAF Amberley, QLD. 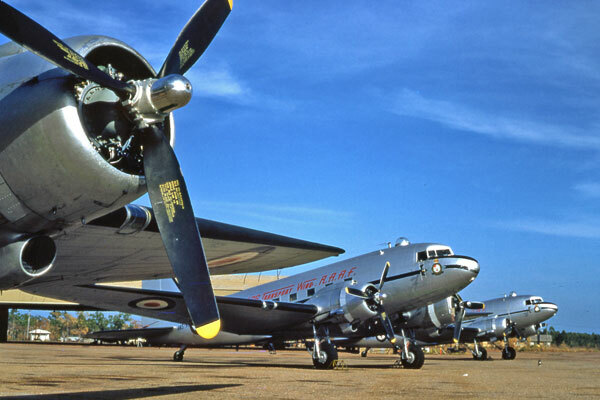 Not sure if you like these or not but I have some old photos of RAAF 86WG C-47's in Darwin in the 50's and other old planes of the era by photographer David Morrison. I was posted to AMS Darwin for 3 years from 2006 - 09. 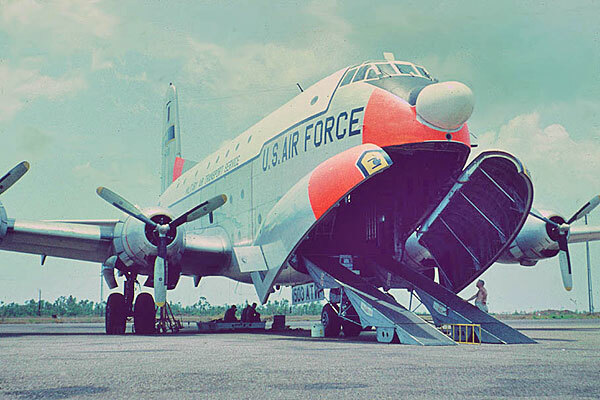 I just thought it would be good to see these photos of old planes. Eventually things got sorted and when I left two years later I think all of us were qualified, some also being explosives trained. Wow, I'm drifting away here! Those were the days. Thank you again for all your work - a relative of mine recently used the site to find me! 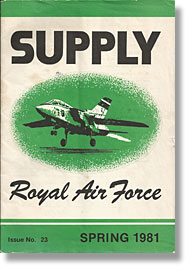 I forward for your retention the Spring 1981 edition of the Royal Air Force Supply Magazine. It includes a few articles by or about people that you may have met. One such article profiles Gordon Spiers. 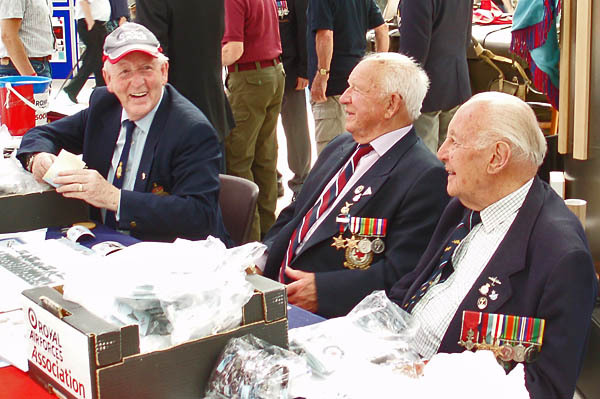 Gordon was great to work with and my last memory of him was a Saturday a.m. on the airfield at Abingdon. As we walked to a Beverley he explained how he supported life by shooting various birds and selling them on to regular customers at 1/- (one shilling) per head! He taught me trim sheets and he produced many basic 'ideal' trims for different roles in the Beverley, including PCF, Para trooping and a multitude of vehicle combinations. 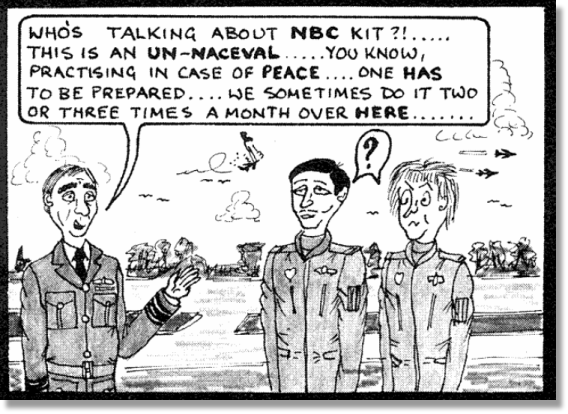 He was a very busy man, but never too busy to assist his untrained-for-air-movements SNCOs. At one time we had 13 sergeants; one was a Mover, one a former Air Quartermaster, one an ex Air Gunner, one a former Signaller and the remainder all being Supplier II. There were only four of us who were interested in Air Movements! For the last year Squadron Leader Gordon Spiers has become an even more familiar face throughout the Movements world in his capacity as OC RAF Movements School. No doubt his name, and indeed face, will be familiar to more than a few officers and tradesmen who have been trained in Movements duties. 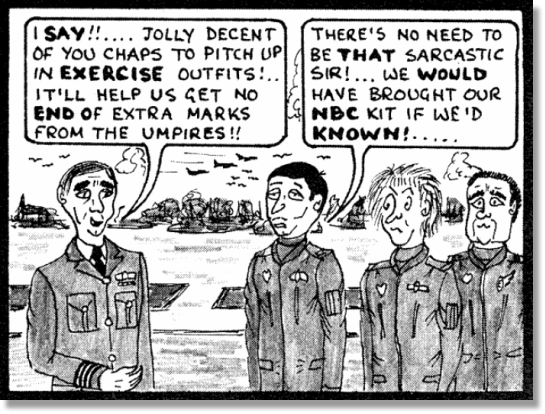 His current appointment is, of course, unique in the Supply Branch as his responsibilities include training for aircrew duties - Air Loadmasters. 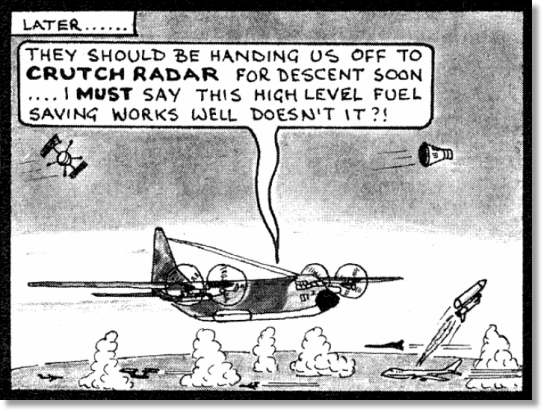 To some, Gordon has become the RAF “Sage of Air Movements”. However, his first tour following training at RAF Bircham Newton in 1952 was as Unit Equipment Officer at No. 202 MU, RAF Longparish. 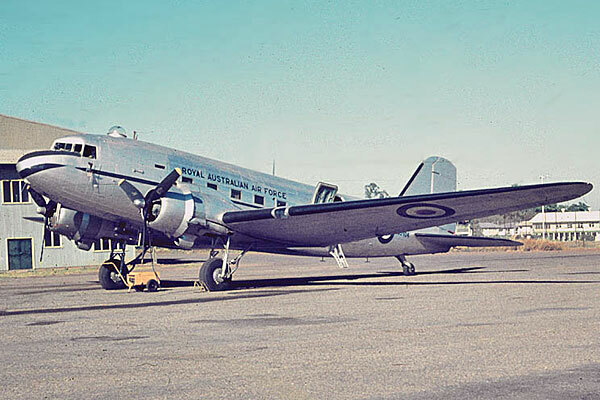 This tour was destined to be of short duration and he was soon headed for Air Movements duties in Ceylon. 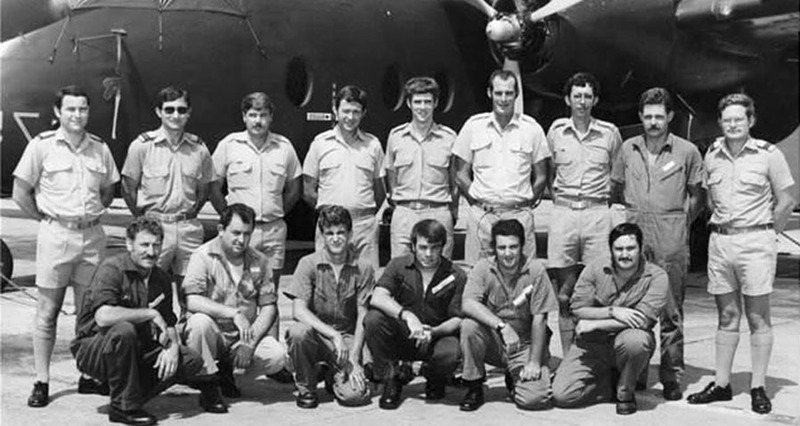 Unlike today, Gordon was lucky enough to experience two consecutive overseas tours because from Negombo he went on to Clark Air Force Base in the Philippines as the RAF Liaison Officer. 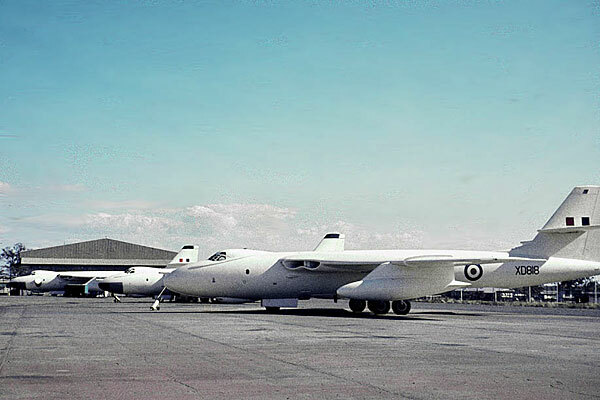 From there, he moved on to RAF Kai Tak and completed his grand tour of the Far East in 1956, returning to Abingdon to become a member of the first Mobile Air Movements team under the Air Movements Development Unit, the forerunner to JATE. Those readers with a sense of history will recall that these were troubled times, particularly in the Middle East, and needless to say the MAMS teams were in the thick of it. 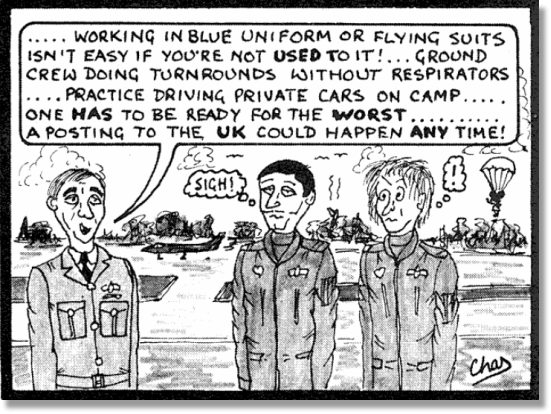 However, like every good Supply Officer, Gordon was sent on a Supply refresher tour at Thorney Island as, not OC SCAF, but OC EPAS! Our younger readers may wish to know that this was in the pre-ADP era and the section concerned was the Equipment Provisioning and Accounting Section. In addition to his Supply duties, Gordon was able to participate fully in one of his major loves, shooting. Rumour has it that the wild fowl have still not recovered and the conservationists cannot understand why! After leaving Thorney Island in 1961, the joys of Aden beckoned Gordon, and in view of his great MU experience in 1953, this was reinvested at No. 114 MU Steamer Point where he was Supply 1. After two years of sweating it out, the MAMS organisation at Abingdon was to get a new Admin Officer when Gordon arrived in 1963. 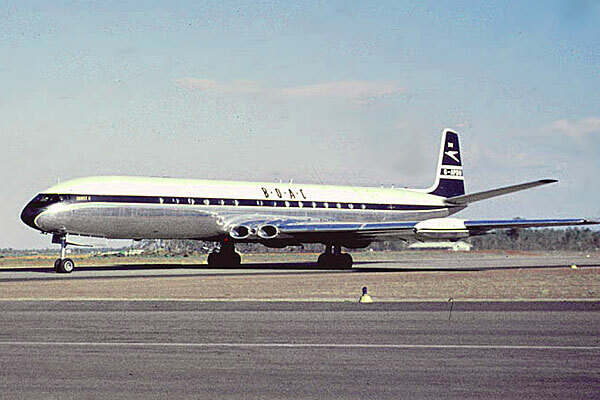 By the time he left in 1966 he had amassed 1,151 hours of flying time. It would be interesting to find out if this is a record for a Supply Officer. 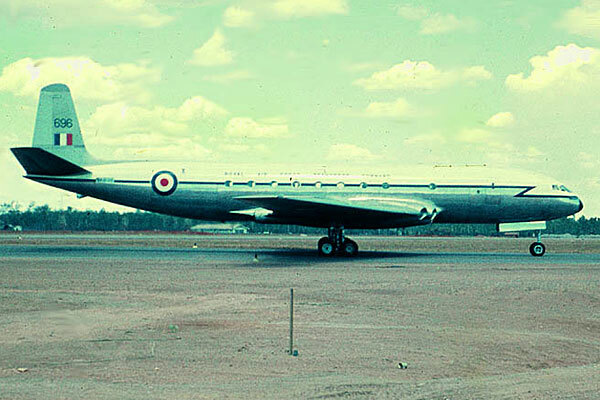 Promotion came in July 1966 when the new Squadron Leader Spiers became OC Supply and Movements at RAF Gaydon. However, there is no truth in the rumour that he was responsible for the Valiant fleet grounding, as that had occurred six months prior to his arrival. 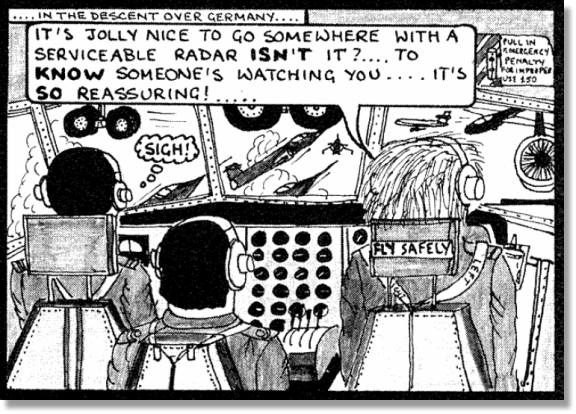 Gordon soon got the wander lust was off overseas again, this time to HQ RAF Germany as Mov1 (Plans). 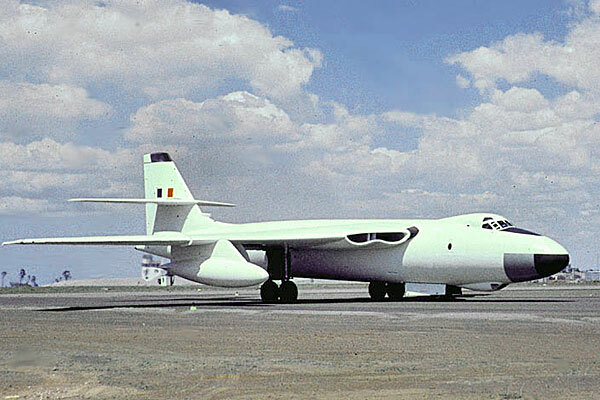 By the time he returned to MoD to take up Supply Policy duties in April 1971, Gordon had spent a third of his service overseas, and no doubt if one takes the MAMS tours into consideration, the total time would be nearer one half. The boggy maze of Whitehall cramped his shooting interests, but his newfound powers of extra sensory perception soon ensured that he moved on to the rolling fields of the west. 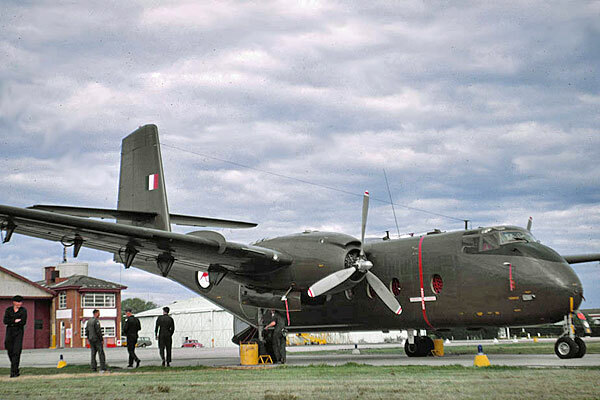 In June 1974 he returned to Movements duties to become AM2 at HQ 38 Group, RAF Upavon. 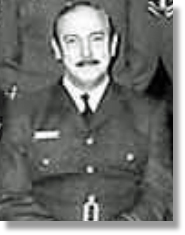 However, clearly, the MoD needed his expertise and he returned to become a specialist on Movements Personnel matters between January 1977 and March 1980. During this time he was also editor of the Movements Newsletter and so appreciates the problems of publishing! 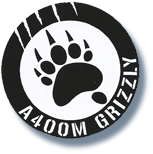 In his present appointment, Gordon is able to bring to bear his valuable experience in both the Supply and Movements world to ensure that the students passing through the Movements School meet the standards he himself has set over the years, and the needs of the services in the years ahead. Nearly two months after signing a contract for the aircraft, Boeing Co. officials delivered its eighth Long Beach-produced C-17 Globemaster III aircraft to the UK Ministry of Defence and the Royal Air Force. Dignitaries from the United Kingdom were on hand to receive the aircraft at the Boeing C-17 Globemaster III Final Assembly Facility in Long Beach. "We'll be watching as your C-17s fly worldwide missions delivering hope, preserving peace and saving lives," said Bob Ciesla, Airlift vice president and C-17 program manager. The C-17 plant in East Long Beach - the last large, fixed-wing aircraft production plant in California - has about 5,000 workers in production, marketing, engineering and other aerospace based activities. Could you also let everyone else know my new email address by printing it in the next issue of the newsletter, thank you. Outgoing commanding officer Major Ken Mills and his family. Thursday 19th July 2012 marked a change in leadership for CFB Trenton's 2 AMS squadron. Lieutenant-Colonel Deborah Graitson succeeded Major Ken Mills as the Commanding Officer of 2 Air Movements Squadron during the Change of Command ceremony held at 7 Hangar. 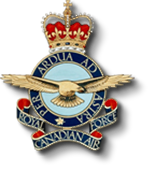 The squadron is responsible for processing all airlift traffic including passengers, freight, baggage and mail which may be originating, staging through or terminating at CFB Trenton. 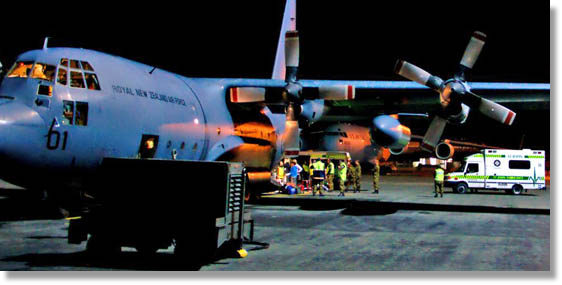 In addition to the constant and large administrative airlift support at 8 Wing, 2 Air Movements Squadron maintains an operational capability with four, 10 person Mobile Air Movements Sections. 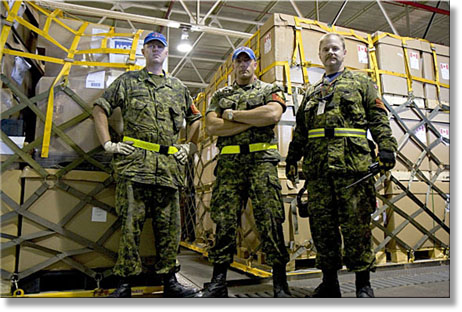 Deployments in Canada and abroad serve to “fine tune” the teams in preparation for any contingencies or wartime operations. “On any given day, 2 Air Movements Squadron is deployed across Canada and usually on three or four continents, enabling operations and training,” said base commander Col. Sean Friday during the change of command. 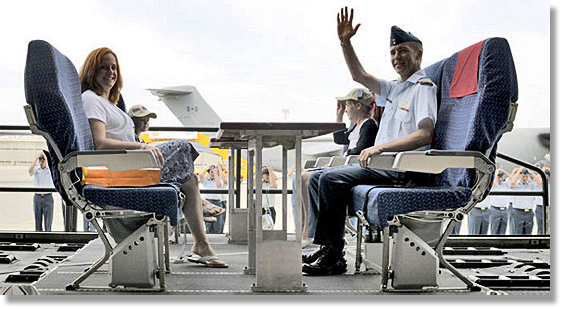 Outgoing commander Maj. Ken Mills assumed command of 2 Air Movements Squadron Trenton in July 2010. During his tenure, the Squadron has endured one of the most demanding periods in its history, sustaining deployed operations in Canada's North, the Mediterranean and worldwide including mission transition in Afghanistan - the largest CF redeployment since the Korean War. Mills will now head to a 10 month long second training language program to work on his French skills. Incoming commander Lt.Col. Deborah Graitson comes to 8 Wing from Canadian Special Operations Forces Command Headquarters in Ottawa where she served as the J4 Mobility in the Chief of Staff Support section. “This squadron has achieved a great deal over under Major Mills' leadership, but as you know all to well, we can never afford to rest on our laurels. "We can never predict with any kind of certainty whether the next mission will be a humanitarian assistance effort at home or abroad, a peacekeeping effort in Africa or a counter-insurgency in the Middle-East. "But we can predict with perfect certainty that a new mission will come and I look to you to ensure that the men and women of 2 Air Movements Squadron are ready, 24/7, to answer the call when it comes,” said Friday. I have a long and abiding love of Labuan, that island off the shores of what was then known as British North Borneo. 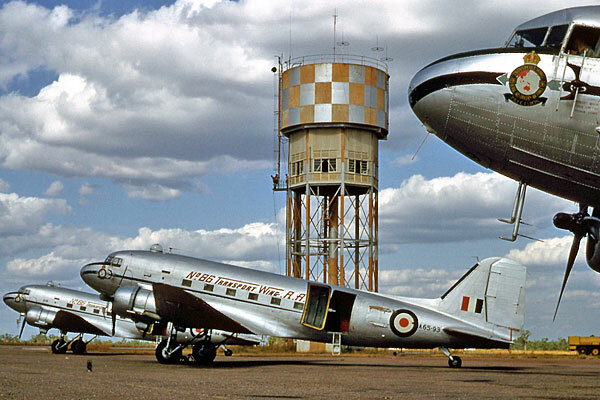 In the years following the end of World War II the Royal Air Force maintained a signals detachment there. 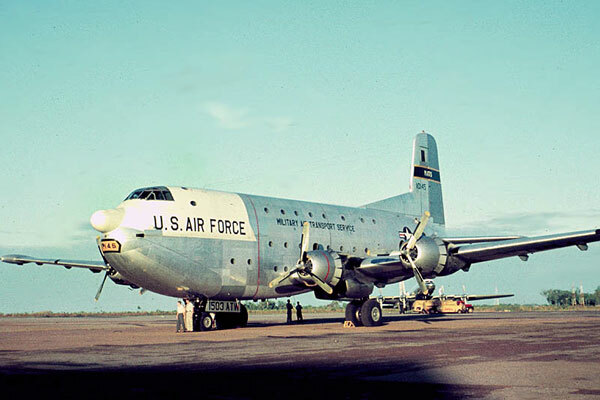 As a young officer I was sent to open an Air Movements Section to handle the passengers, freight and mail using the airfield. In those days the place was pure Somerset Maugham. The chief of police ran the poker school at the Club. His wife, a stunningly beautiful Pole, was the doctor. 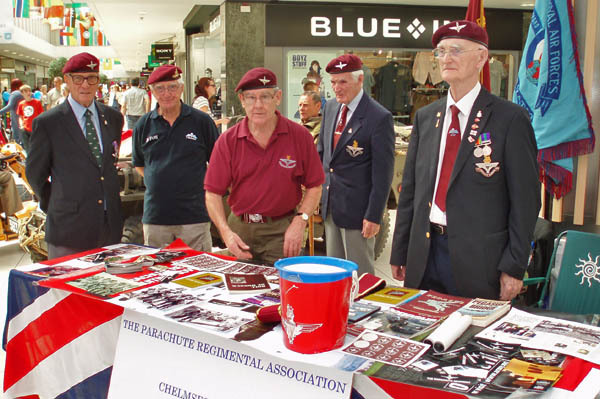 The weekly social highlight was the outdoor screening of a film flown in from Changi and attended by no less than the British Resident, Mr Hill, who arrived in his Rolls Royce, his basket-weave chair strapped to the roof. A Cook's Tour inevitably included the power station, in fact a Meadows' generator in a corrugated roofed shed. However, alongside stood the oldest Rolls I had ever come across then or since. 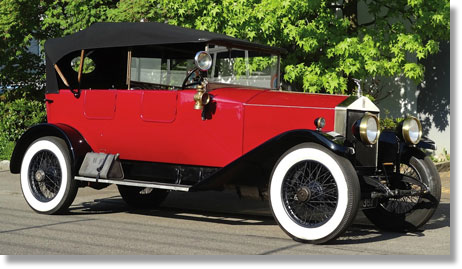 It would have been described as an Open Tourer circa 1920. It had a canvas roof, supported by wooden stays. The paintwork was so old that it was crazed, yet the doors closed with a satisfying click. Attached to the floor was a solid brass gate with a brake- handle style lever to allow of gear changes. Massive brass headlights were connected by a rod and lever arrangement to another lever alongside the driver's door and on the running board… the dip switch ! The Resident Engineer opened the bonnet to display a gleaming mile of engine. Sad to say the roof blew off at 80 m.p.h. on the coral runway although the spoke wheels and tyres were up to the task. Offered this gem for £100 I had no means of moving it to Singapore and thence home to England… one of the first of many poor financial decisions that followed. But yes… Labuan was an enchanted island. The first two of 62 Wildcat helicopters ordered by the MOD were handed over by manufacturer AgustaWestland at the Farnborough International Airshow. The Somerset-based firm is benefiting from the £250m support and training contract that is sustaining 500 jobs. The MOD is buying 34 Army Wildcats and 28 maritime attack variants, which will replace the Lynx fleet operated by the Army Air Corps and Fleet Air Arm. The first Wildcats to be handed over to the MOD are Army helicopters, which will come into service in 2014. The first Royal Navy Wildcats are due to be delivered for training later this year before coming into service in 2015. The Army Wildcat will primarily be used in a reconnaissance role, providing protection to soldiers on the ground. The maritime attack version will protect the Navy's fleet around the world. Both variants have more powerful engines than the Lynx, enabling Wildcat to be used on operations all-year-round in extreme conditions. The Wildcat also has a more robust fuselage to give better protection to the crews. Both variants are armed with general purpose and heavy machine guns and the Navy's helicopters will also carry Sting Ray torpedoes. Army and Navy pilots will use high-tech interactive displays thanks to state-of-the-art glass cockpits. The £250m Wildcat in-service support and training contract with AgustaWestland will provide a specialist training centre at Royal Naval Air Station Yeovilton, where the Wildcats will be based, that will include flight simulators and a wide range of other equipment to train pilots, ground crew and engineers. 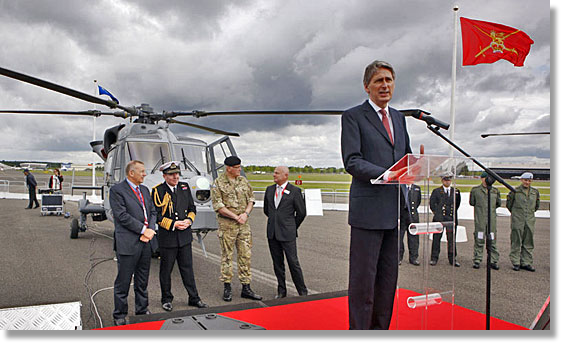 Defence Secretary Philip Hammond said: "Wildcat represents a considerable advance over the current Lynx helicopters, bringing greatly improved performance and capability. The contract to provide training and support will keep them flying wherever they are needed. "These helicopters will be a key part of the future equipment programme for the Armed Forces that will see £160bn spent over the next ten years. By balancing the budget, we can deliver the airframes and the millions of pounds of support they require." Chief of the General Staff General Sir Peter Wall said: "This is an excellent helicopter, which is very important to the Army Air Corps. We will be seeking to get it fully operational as soon as possible." Chief of the Naval Staff, First Sea Lord Admiral Sir Mark Stanhope, said: "Wildcat represents the latest generation of multi-role helicopter that has been specifically procured to operate from ships of the Royal Navy. With state-of-the-art sensors, equipment and weapons, it will be an outstanding asset that will maintain Royal Naval units at the cutting-edge of worldwide maritime operations." Today was our monthly get together at Cosford with a usual gathering of about sixty. Our speaker was Dr Chris Morris, secretary and webmaster of the RAF Habbaniya Association. 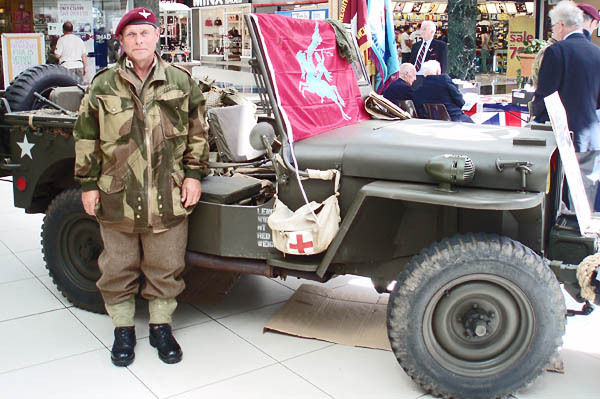 It was his second meeting with us and his talk was entitled 'Mountain Rescue of WRAF Personnel' telling us that it took place in Iraq in 1953. The climate in Iraq around the Habbaniya area could reach 120 Fahrenheit in the summer and to get away from that there was a leave centre at Ser Amadia in the Khurdistan area in the mountains on the Turkish border. Nursing orderly LACW Fullwood from the RAF hospital at Habbaniya, along with some friends, took the trip up to the leave centre, firstly by train to Mosul and then by road to the camp at Amadia. 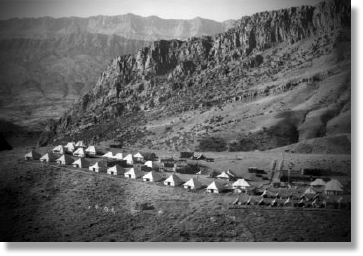 The roads were very bad in this area so to climb further up into the mountains from the camp was quite an arduous trek either on foot or on the back of a mule. On one excursion, the mule that she was riding stumbled and threw her to the ground. She was out cold and one of the other nurses with her, realizing her injuries could be serious, held her head to stop it moving whilst the others picked her up and carried her back to the camp. Luckily there was an RAF medical team based there and the doctor judged that she had probably broken her back. So the next problem was to get her back to Habbaniya. The doctor had her covered in Plaster of Paris from her neck to the base of her spine to prevent movement. 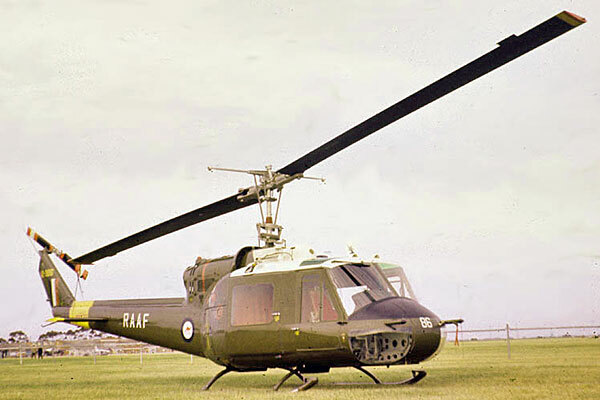 As luck would have it, King Faisal's personal Westland Dragonfly helicopter was at Mosul and it was flown up to the leave centre and air-lifted her back to Mosul. 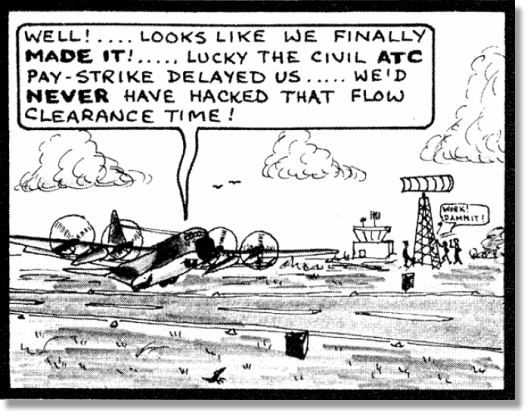 An Avro Anson was sent from Habbaniya to bring her back. 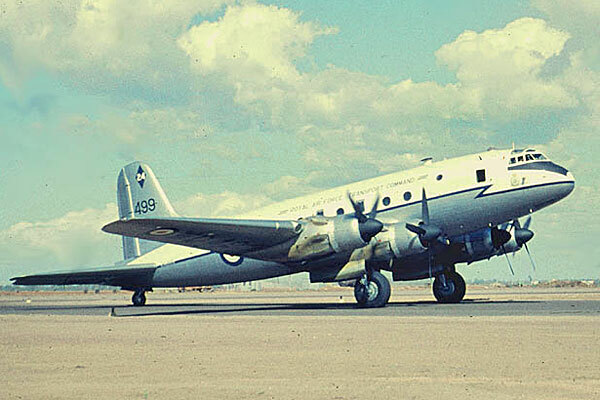 The next part of her journey was to the UK and that was on a Casevac Hastings to Lyneham. From there she was taken to the RAF hospital at Ely where it was confirmed that she had in fact broken her neck and was told that she would probably not be able to walk again or have children. As it turned out the break had not severed the spinal cord; the nurse with her in the mountains holding her head still saved her. She now lives in Anglesea is married and has five children; so much for what they told her at Ely. 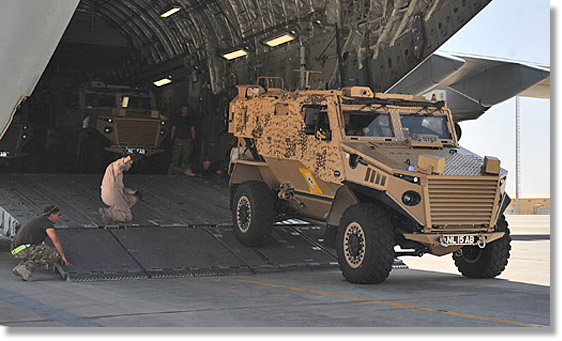 The first of the British Army's new Foxhound vehicles have arrived in Afghanistan. 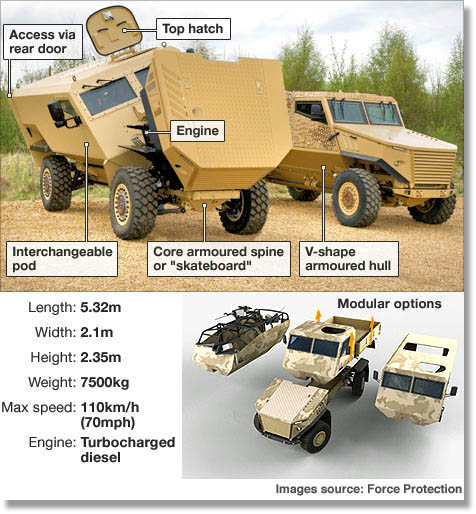 Foxhound is at the cutting edge of protected patrol vehicle technology and provides unprecedented levels of blast protection for its size and weight. After being flown out from RAF Brize Norton in a C-17 aircraft, these patrol vehicles are currently undergoing final testing in the dusty and hot conditions of the Helmand desert before being deployed on operations later in the year. Foxhound has been specifically designed and built in Britain to protect against the threats our troops face in Afghanistan. However, this is an agile and versatile vehicle that will be a mainstay in the Army for years to come. Being lighter and smaller than other protected vehicles such as Mastiff and Ridgeback, Foxhound brings a whole new capability to the Army and is ideal for soldiers operating in mentoring and partnering roles as it makes it easier for them to engage with Afghan National Security Forces and the local Afghan population. General Dynamics Land Systems, who produce Foxhound, have worked with engineers from the World Rally Championship, McLaren F1, Ricardo and BMW to incorporate Formula One racing technology so it has a top speed of 70mph (113km/h), but can still protect against improvised explosive devices thanks to its v-shaped hull. The MOD is also able to confirm today that a £90m contract for an additional 100 Foxhounds has been signed. It means a total of 300 vehicles will now be delivered to the Army as part of a deal with General Dynamics worth £270m that is sustaining around 750 highly-skilled jobs across the UK. Other innovative design features mean that the Foxhound's engine can be removed and replaced in just 30 minutes and it can drive away from an ambush on only three wheels. Chief of the General Staff, General Sir Peter Wall, said: "Foxhound gives the British Army the very latest level of protection on operations. This has been a well-run programme that will play a key role in equipping the Army of 2020." On the weekend of 20th to 22nd of July, 2012, the above fine upstanding men of the 45th Entry, RAF Boy Entrant, Suppliers (or what's left of us), gathered at The Three Counties Hotel in Hereford for our 50th Anniversary since that fateful day in 1962 when we all took the plunge at Credenhill. In the photo can be seen a few ex-Movers; Keith Parker, Nick Price, Ian Alder, Colin Pay, Dave Bell and Jim Hood spread amongst the Supply rabble. A great time was had by all, loads of stories recounted and a fair old amount of ale consumed. The coach trip left a bit to be desired after the tour of Credenhill was called off due to "Operational Commitments" but the subsequent tour of the countryside around Hereford was quite something. The driver took our hint after a rousing chorus of "The Wheels On the Bus" and stopped at a nearby hostelry for us to take on sustenance. Well that's it for another year when we hope to do it all again; celebrating 50 years since we passed out and were released onto the unsuspecting "Man's Service". If any of you are out there who missed the weekend and feel inclined to join your old entry mates for the next time around then please get in touch with me. Came home last Saturday evening having spent all day out at Canberra Airport facilitating the departure of our overseas VIP guests from the 2012 RAAF Air Power Conference, to find our granddaughter Isabel playing in the lounge. I took off my jacket and she immediately grabbed it and my MOVO Arm Band. OK, I readjusted the arm band a little, but all the rest of the picture, including the 1971 copy of 'Flight' magazine on the table - I'd been given a whole bunch of old aviation mags by a friend - and my ID Card on top was not a set-up. 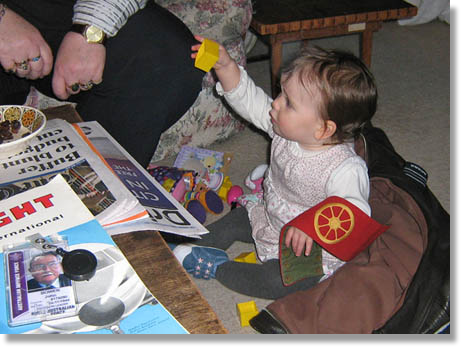 Only saw the juxtaposition when we downloaded the picture to our PC… So the next 48 years are setup (I like to think that the yellow block in her right hand is a 463L Pallet substitute, but that might be just a small step too far). 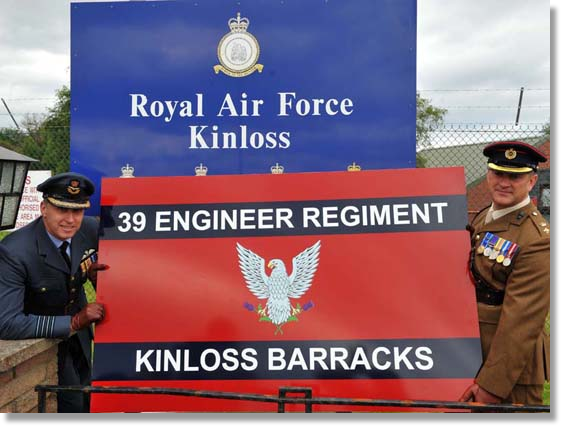 RAF Kinloss marked the end of an era as the base was handed over to the Army and became Kinloss Barracks. On 31st July the Army's 39 Engineer Regiment officially took over the base, which has been home to the RAF since 1939. The day was marked with a short but poignant ceremony which saw the RAF Ensign lowered at the base for the last time, and the flag of 39 Engineer Regiment was raised as a Tornado aircraft flew overhead. The Regiment's flag was raised to the sound of a specially-composed pipe tune, called 39 Regiment's Welcome to Kinloss, which was played by the RAF Kinloss Pipes and Drums. Guests included the General Officer Commanding the Army in Scotland, Major General Nick Eeles and the Lord Lieutenant of Moray. The Commanding Officer of 39 Engineer Regiment, Lieutenant Colonel Andy Sturrock, praised the local community for the warmth of their welcome: “The community in Moray has bent over backwards to make us feel welcome, and we are looking forward to strengthening that relationship and becoming an integral part of that community," he said. 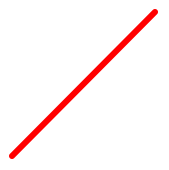 39 Engineer Regiment is an Air Support Engineer Regiment, and part of the Corps of Royal Engineers. They specialise in the building and repair of runways, hangars and hard standings for RAF aircraft; so a former airbase is a natural home for them. Around 720 personnel and 200 families from 39 Engineer Regiment will have fully relocated to Kinloss Barracks from Waterbeach, near Cambridge, by the end of August. At the time of the handover the unit had personnel deployed in Afghanistan, Kenya and on duty at the Olympics in London. Despite our problems on the domestic front I am still pushing the boundaries for fund raising for our Charity! 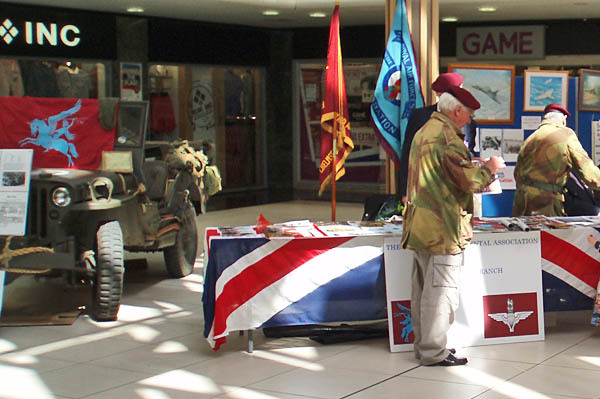 Saturday 30th June was Armed Forces Day - I managed to encourage The Parachute Regimental Association, the Royal Navy, The Royal Marines, The Fleet Air Arm and the Royal British Legion to join me in our local shopping mall. 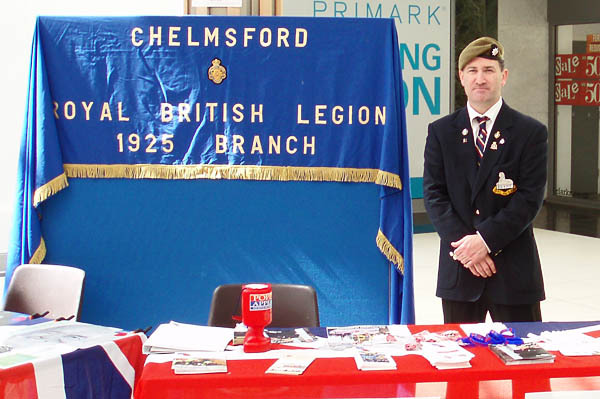 We had a fantastic day and the Mall Management supplied another table for their own staff to raise money for 'Help for Heroes' and 'Soldiers, Sailors and Airmen's Families Association'. Great Stuff. 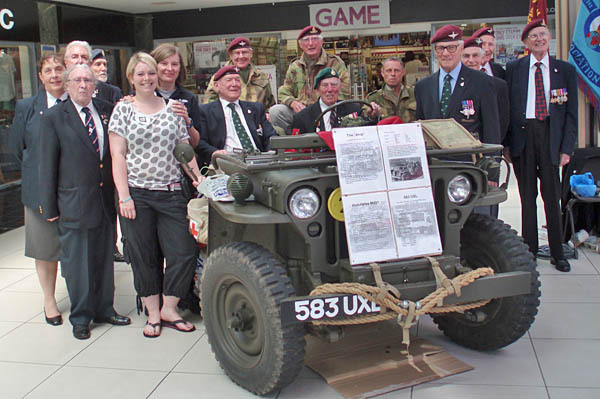 I managed to persuade a local man who owns a WWII “Jeep” to bring it along to form a focal point for our event! 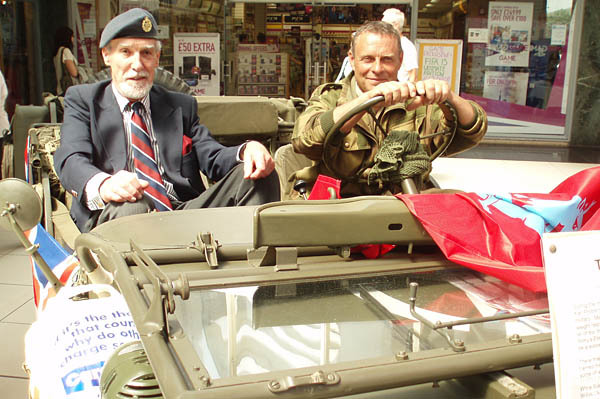 I've attached some pictures taken on the day - including a close up of me in the “Jeep” - but in the background during the photo call where everyone gathered round the “Jeep” you can jut see in the background a blue beret! 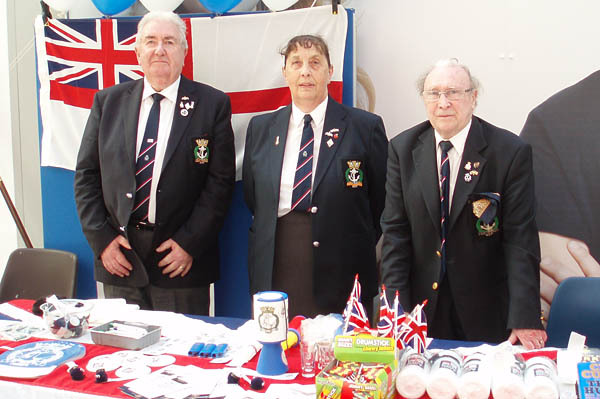 We at RAFA raised £390, the Royal British Legion £269, the Navy raised £255, the Para's raised £321, Help for Heroes £316.50 and the SSAFA £316.50. 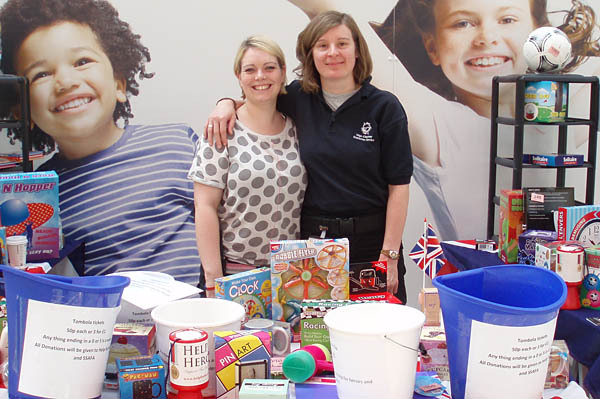 The total for the day was £1,868. The UK Royal Air Force is on track to field two converted BAe 146-200QC transports by March 2013, with both aircraft now in work at Hawker Beechcraft Services' Broughton site in north Wales. Acquired from TNT Airways, the quick change passenger/freighter aircraft have been painted in RAF colours and transferred from Belgium under an urgent operational requirement (UOR) deal for use in Afghanistan. BAE Systems Regional Aircraft was awarded a contract worth £15.5 million ($24.3 million) to prepare them for military use, and has subcontracted the conversion work to Hawker Beechcraft. "Among the military equipment to be fitted will be defensive aids systems to enable these UOR aircraft to be protected to appropriate levels, at least equivalent to other UK aircraft operating in Afghanistan," BAE says. Each of the adapted 146M aircraft will be capable of carrying fewer than the type's standard 96 passengers, due to the hot temperature and high-altitude environment encountered in Afghanistan, and due to the volume of equipment carried by combat personnel. Equipped with a large freight door, the baseline QC can alternatively be used to carry up to 10,600kg (23,300lb) on its cargo deck. Introducing the BAe 146s will partially cover for the retirement from service of the RAF's last Lockheed Martin C-130K tactical transports by December 2012. 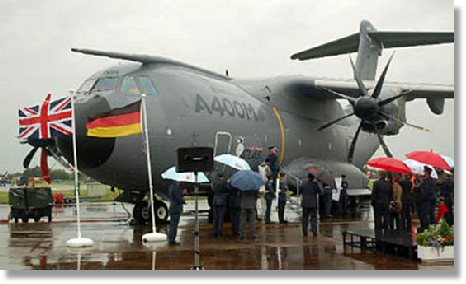 Airbus Military's A400M is the long-term replacement for the latter type, with the UK due to take delivery of its first of 22 examples in 2014. BAE says it is promoting military conversions of the 146 and Avro RJ to other air forces "to complement existing fleets of tactical airlifters such as C-130 Hercules, by taking on a wide variety of non-tactical air transport roles, thereby prolonging the fatigue life on ageing tactical assets". 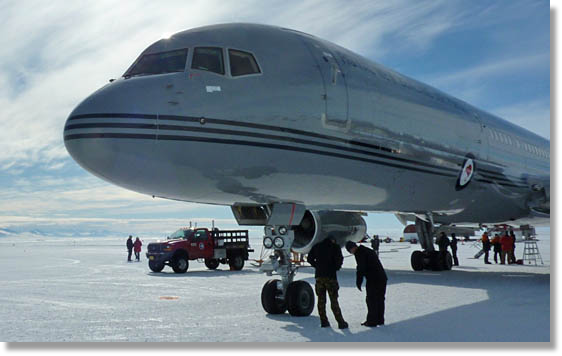 The last photo is of the RNZAF B757 during it's first trial flight to Antarctica in 2009. 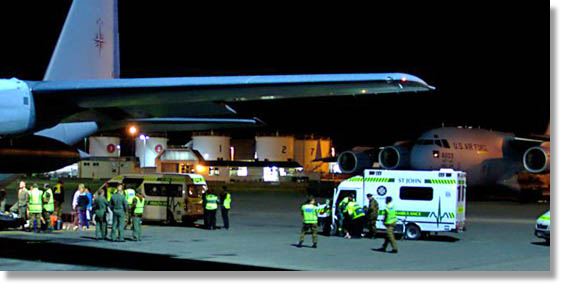 Here are some photos of a RNZAF C130 medevac evacuating stretcher bound aged persons out of Christchurch after the 22 Feb 2011 earthquake. The USAF C-17 in the background was in Christchurch in support of the Antarctic season. These photos were taken outside Air Movements Christchurch by CPL Charlie Fox. Canada's new CH-147F Chinook helicopter made its successful first test flight near Boeing's facility at Ridley Park, Pennsylvania, on June 24. 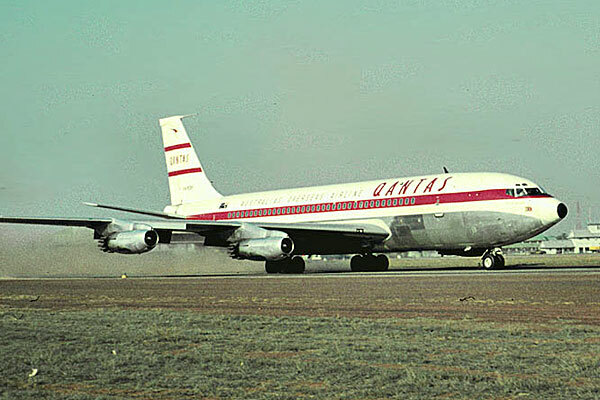 The inaugural flight lasted more than 80 minutes and confirmed the initial airworthiness of the aircraft, including its new electrical system and advanced common avionics architecture system cockpit, which reduces pilot workload. After the Chinook's third flight on June 25, Boeing also completed the limited acceptance test procedure to validate aircraft performance and systems. The aircraft will continue to progress through ground and flight test activities in the coming months and soon will be joined by the second CH-147F, which is scheduled to roll off the production line later this month. The aircraft will continue flight testing over the next 12 months with a combined crew of Boeing/Canadian Forces test pilots. The Royal Canadian Air Force will receive 15 CH-147F Chinooks. The helicopter will feature extended-range fuel tanks, an upgraded electrical system, and aircraft survivability equipment that will enhance the Canadian Forces' ability to operate in remote and isolated areas and increase their capacity to respond to disasters both at home and abroad. In June 2013, the first CH-147 is scheduled to arrive at 450 Tactical Helicopter Squadron at Canadian Forces Base Petawawa, Ont. Whilst serving as an instructor at the RAF Movements School between 1984 and 1988, I penned an article for the RAF Movements Newsletter which was published during this time. 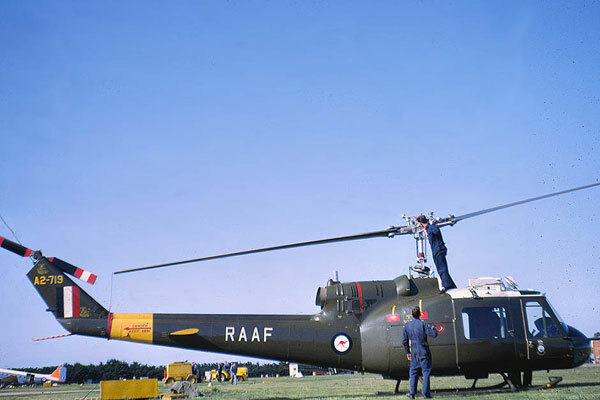 The emotive article referred to the reduction of Regular Movers and increase of the Royal Auxiliary Air Force (RAuxAF) Movements Squadron which was then a very young outfit. That article proved to be very accurate over time and I wonder if any of the musings included were read by the top floor 'cloud land staff officers' at the MOD and possibly even Ministers? Thought provoking stuff! I remember that the editor at the time was very dismissive of my opinions but how wrong they turned out to be. Does anyone still have access to a copy, or even could supply me with a scanned copy that I could re-read? It still remains a talking point in my house, especially now as all we hear in the media is how to reduce the size of the Armed Forces and make more use of the Part Time Heroes. 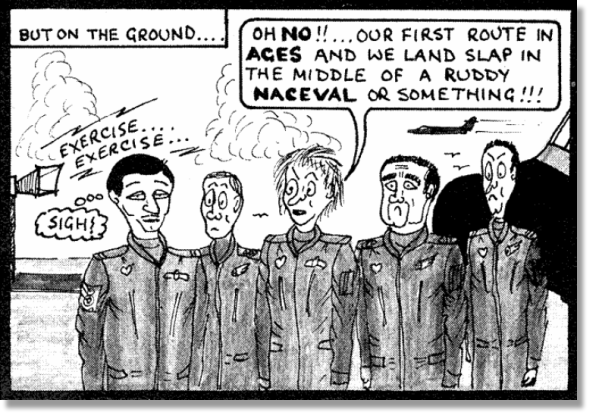 Despite any political opinions expressed about our beloved "Trade" or "Oggies" at the time, I went on myself to become a permanent staff member of that Squadron before being moved to the RAFU Goose Bay for a twelve month unaccompanied tour! Exactly 69 years to the day after the famous Dambusters Raid, the people of the Cornish fishing town of Porthleven, with the support of personnel from RAF St Mawgan, celebrated the life and achievements of Wing Commander Guy Gibson, who led the famous and incredibly dangerous attack on the Ruhr Dams in May 1943. The Dambusters Raid was carried out by the specially formed 617 Squadron who used Barnes Wallis' famous 'bouncing bomb' to strike against the critical dams which supported the German industrial might during the Second World War. 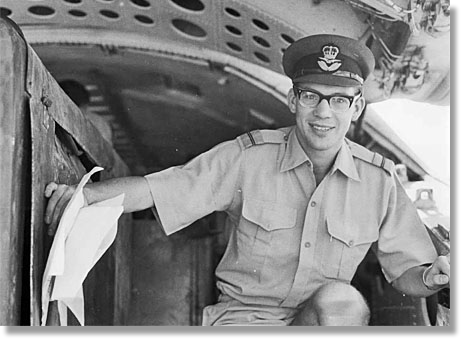 Wing Commander Gibson's daring and courageous acts that day led to him being awarded a Victoria Cross; the highest military decoration awarded for valour 'in the face of the enemy'. Following the delivery of his own bomb at the Möhne Dam, Wing Commander Gibson then returned and circled at low level, deliberately drawing enemy fire onto himself so that the other aircraft had a greater chance of success in delivering their bombs. He then repeated this heroic act again with aircraft attacking the Eder Dam, where he repeated the same tactics and selflessly placed himself and his crew in danger to achieve the mission aim. Of the 19 Lancaster Bombers that set out that night to conduct the raid, only 11 returned and 53 of the crew members were killed. 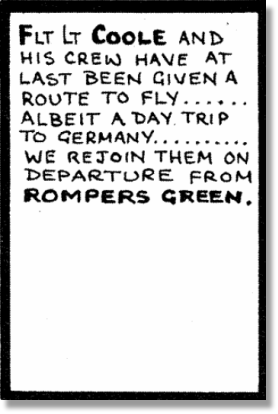 Wing Commander Gibson sadly lost his life on 19 September 1944 during another bombing raid over Germany. 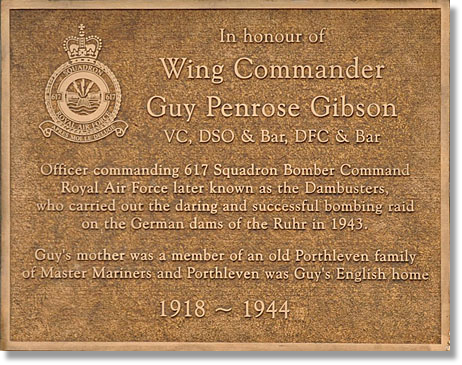 Porthleven, as Wing Commander Gibson's favoured Cornish retreat, and his home during his formative years, paid tribute to his life and achievements through the unveiling of a bronze plaque dedicated to his memory. Personnel from RAF St Mawgan were proud to parade in his memory, and were supported by cadets from the Plymouth and Cornwall Wing Air Training Corps. 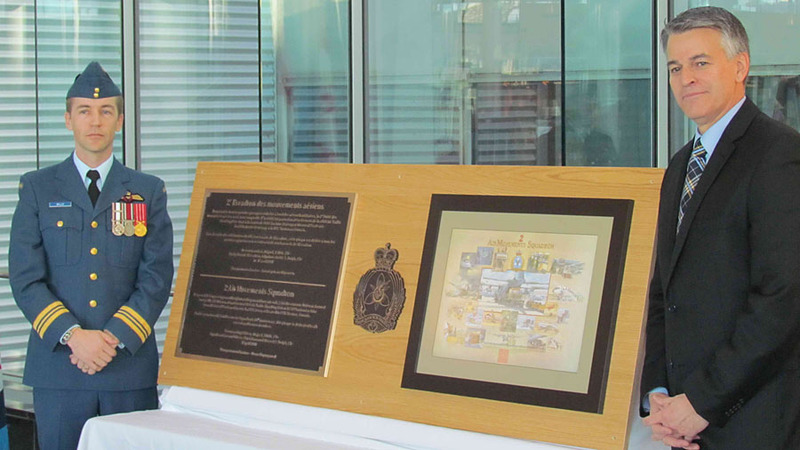 Group Captain David Robertson, Head of Operational Training at Headquarters Air Command and a previous Commander of 617 Squadron, had the honour of unveiling the plaque. He stood in for the current Dambusters Commander as the entire Tornado squadron is currently serving on active duty in Afghanistan. He said of Wing Commander Gibson before unveiling the plaque: "He was, as 'Bomber Harris' described, as great a warrior as this island has ever bred." 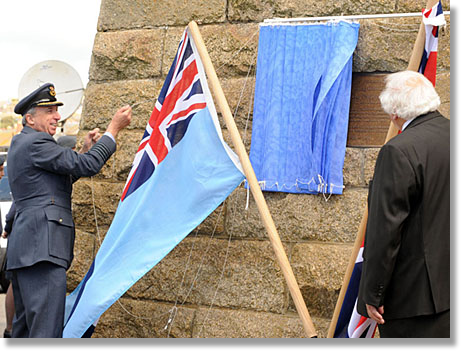 A flypast involving two Hawk aircraft from Royal Naval Air Station Culdrose marked the moment the plaque was unveiled. 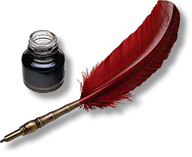 Would you care to publish a request for me. 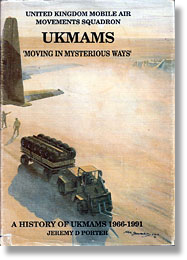 Has anyone got a copy of the UKMAMS Moving in Mysterious Ways book by Jeremy Porter that they would care to pass on to me? Postage and Petties will be covered. If they want something towards the book I will cover that also. Preparations are already under way for the arrival of RAF Brize Norton 's first Airbus A400M transport plane, even though it will not be delivered until 2014. 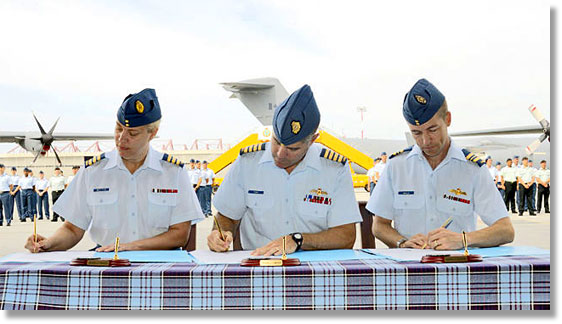 Members of 24 Squadron are drawing up plans for crew training on the planes and some are taking French lessons to join a multinational team based in Orleans, France, which will assist with the first production plane's entry to service with the French air force later this year. 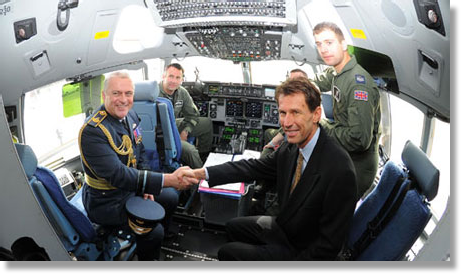 A £50m flight simulator is on order and will be installed at Brize Norton in spring 2014. The aircraft will be officially called Atlas. A fleet of 22 Atlases has been ordered by the RAF to replace ageing Lockheed Hercules C130K aircraft, which were transferred to Brize Norton from RAF Lyneham last year. The Atlas, to be built at Seville in Spain, will be able to carry 32 tonnes of cargo, double the load of a Hercules. 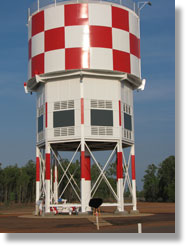 It is able to carry more than 100 paratroops, heavy armoured vehicles or helicopters and is designed to use rough landing strips, as well as paved runways. 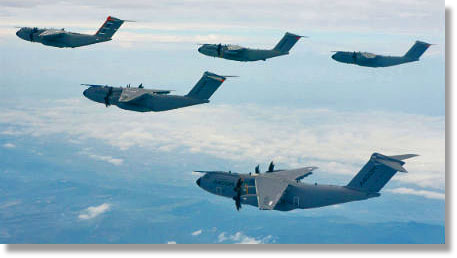 Eight air forces have ordered a total of 174 A400Ms. Work on the programme has created or secured work for 8,000 people. This is for those of us – quite a few, to be sure – who recall the days when “Handling Aids” were a forklift, a pinchbar, a bit of aircraft roller conveyor and muscle power, livened by a few choice swear words. 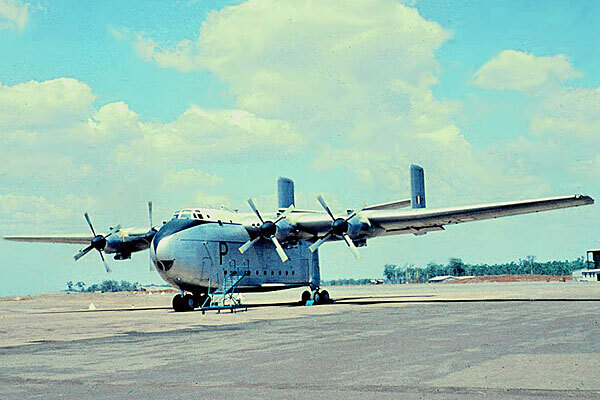 A familiar visitor to Khormaksar in 1964-66, was the L-749 Constellation belonging to Ace Freighters, which invariably had an Avon engine (or 2) flat-floor well forward from the freight door, which would be “walked” down with the co-ordinated assistance of pinchbars. Swear words usually accompanied the uncoordinated effort, mainly to be heard just after the 3 month detachment rotation of “new” movers (post Jan 1965). The attached photo may jar a few memories. I have just been to the Western Motorhome Show at the Three Counties Showground in Malvern and I am sure I saw someone from UKMAMS there but before I could make contact he was gone in the crowd! Did any of our readers go to the show? There must have been thousands of Motorhomes and Caravans camping for four nights with some great entertainment from various Country & Western groups and some interesting re-enactment groups of Cowboys and Indians. Of course a lot of the show goers had their cowboy hats on etc., and it all made for an interesting weekend. The weather was not too bad for 2012 standards and we even had a bar-b-q that made me think of one we had in Belize once at Airport Camp. 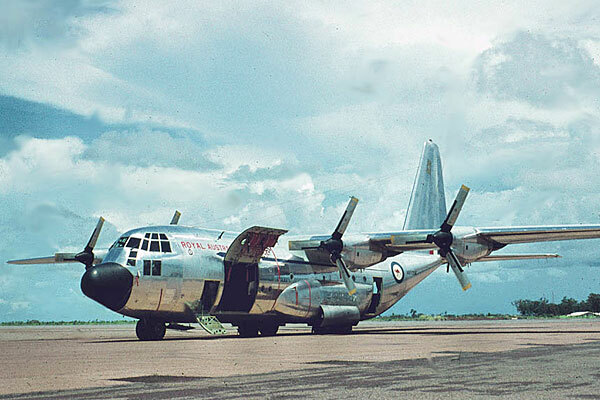 Does anyone remember the MAMS detachment for Operation 'Splat a Guat' as I recall someone calling it, with the T shirts saying on the front 'I fought the Belize War' and on the back it said 'All morning'! Because that was about how long it lasted. It turned out that the MAMS bar-b-q site was adjacent to the bomb dump for the Harriers, what a silly place for them to put their bombs right next to MAMS tents! That is it now hope you can fit this into the newsletter. Great news about the new computer, I do enjoy the news. A little bit of mine - Val and I are now engaged, so all Movers can look forward to a really good booze up next year. Tent sites will be provided and KD must be worn to make us all feel at home. This was in Sharjah in September/October 1979. The duty Movements team had to load a frigging big bulldozer on to an Argosy, with the help of a Load Plan. Glenn Morton has it in his hands, after loading. Yours truly took the pictures (developed and printed them as well – please note – another of my talents;-)). Loading was successful; just had to make sure that everyone had enough fluids in them and follow the Load Plan – which did indeed work! Oh, by the way, does anyone have any information about the upcoming Movements Officers Annual Reunion? Could you post the following job in the next newsletter. I recently got in contact with Tom Iredale who encouraged me to contact you. I was trained as a Mover at Abingdon in 1966 with such worthies as Chas Clark, Robbie James & Allan Knox. 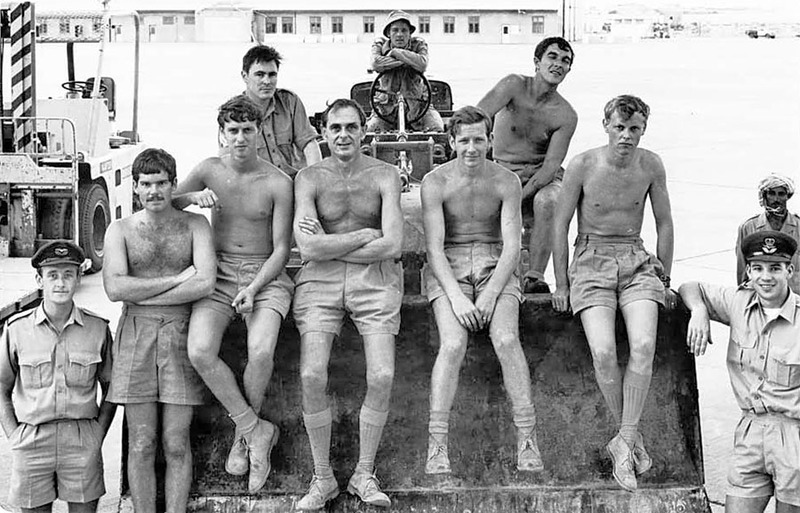 I got posted to Khormaksar, but held at Lyneham until going to Aden in early 1967 where I remained as a Traffic Officer until the very last day. 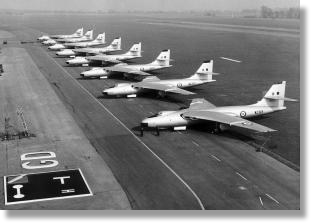 Got posted then to RAF Northolt, where I was on DAMO duties until transfer to Gutersloh as OC SCAF in 1970.